We all do it, no matter how smart and aware we think we are there are times when we sabotage our own best self-interest. We do it with relationships, our children, at our workplace, in our personal lives and in our financial universe. No, it doesn’t mean we’re bad people, it just means we’re human. And perhaps one of the most detrimental aspects of self-sabotage is in the financial arena..
We’ve reflected in past blog posts about the meaning of money and how it fits in our lives. While it’s a given that we need money for the basics of modern life such as to pay the mortgage, for our cars, the children’s braces, buying groceries and other important purchases, but when it comes to financial success we probably have more of a tendency to shoot ourselves in the foot even when we have the best of intentions to balance our books and plan for the future. 56% of U.S. adults lack a budget. 40% of U.S. adults were saving less in 2012 than in 2011. 41% of Baby Boomers do not have a will. 50% of Americans with children have no will. In 1991 only 11% of American workers expected to retire after age 65. In 2012 that percentage had risen to 37%. America’s savings rate has never been stellar as a May 2, 2013 CNBC poll indicates: “After the financial crash, the U.S. savings rate trended up from a low of 1.5 percent in 2005 (and not much higher in 2006-2007) to a high of 5.5 percent. In 2011, it declined to 4.2 percent and further in 2012 to 3.9 percent. The first quarter of 2013, the personal savings rate was at 2.6 percent.” (Those statistics reflect other similar and credible studies.) And it’s estimated that roughly three-quarters of Americans are living paycheck-to-paycheck, with little to no emergency savings. Write down your life goals and values to see what’s really important to you and how money is a part of those…you might find you’re putting your time and money in places that don’t promote what most important to you. Figure out what you’re worth…you don’t have to be rich to have an “estate” and you might be amazed what you’re worth, what you own, what you owe and if those things are really necessary or a financial drain. How much do you spend daily, weekly, monthly, and annually? Get a receipt for everything you buy for one month and then analyze what you spent your money on. That may really surprise you and offer opportunities to more effectively manage your cash and perhaps start saving. Don’t use your credit card and carry cash. That places limitations on your spending since it’s so easy to whip out that card. And if it’s not realistic to forego your credit card, use it sparingly. Develop a realistic budget and begin to map out a financial plan. 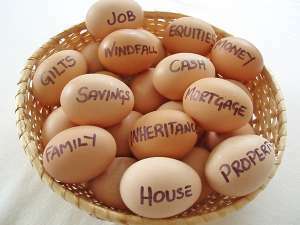 Having a financial plan will increase your confidence and effectiveness in managing, borrowing and saving money. Start saving, no matter how small the first contribution is. Have it taken out of your paycheck if you can since after a while you won’t miss it and it will build. Start today by not going out to lunch or buying that impulse item you know down deep that you don’t need. It doesn’t have to be a major production to begin to make a difference in how you can save and begin a new relationship with your money, all things you’ve heard before over and over. What’s different now is that it’s you’re ready to do something tangible to bring your financial house into order: turn off unnecessary lights, take lunch to work, walk more than drive, find free entertainment, read books, clip coupons, etc. Whatever works for you and your lifestyle. Get creative and surprise yourself. One more thing, our relationship with money can be an emotional one when we have to admit it’s out of control. We are often more willing to discuss our health than our money. But just like when your emotional life needs help and you consult a therapist, financial advisors can be of tremendous value. Getting your money act together won’t solve all your problems, but it will make the ride a lot more comfortable. The key is to get started. What are you waiting for? How to manage your stress?